Recognised in the industry as a consultant who leaves no stone unturned, Frances Hawker looks to the result - and then plans the route. Being part of a team has been very beneficial to the Frances' clients, allowing for higher market exposure through additional open homes and delivering a high level of service to clients at no additional cost. Frances' dedication to residential sales and marketing is complemented by targeting markets that are a little outside the norm. This is recognised as a valuable asset by Frances' clients. As Frances puts it "I love Real Estate - I love working with and helping people as they move from one phase of their lives to the next." From 2005 - 2010 Frances has achieved the distinction of being in the top 5% for Harcourts in New Zealand. Return clients and referrals are an integral part of Frances' work. Why not put the success they have achieved and the experience gained by Frances Hawker to work for you. Heath’s decision to join the award winning Harcourts Gold Team following a successful career in the banking industry, was a simple one. Aligning himself with a successful office that shares the same core values in customer service and commitment that he has was paramount. Heath thoroughly enjoys dealing with people from all walks of life. His aim is to deliver consistently high standards of service to every one of his customers. His commitment to finding the right solution is second to none. During his career in banking, Heath was the recipient of a Chevron Award for delivering outstanding customer service to each and every one of his customers. Heath believes that a combination of a personal passion for real estate and the desire to find the best solutions for customers will provide a solid platform to achieve great results. The decision of entrusting Heath with your next real estate need, whether it be buying or selling should also be a simple one. Call Heath today to discuss how he can help you with your next move. Selling your home can be a time of stress for you and your family. That is why it is essential that all your interests are handled with genuine care and consideration. Jenny has the ability to transform a real estate transaction into a totally stress free experience and, as a consequence, enjoys the loyalty of a strong client base. When pressure builds that's the time you deserve, not only the services and skills of New Zealand's most successful Real Estate organisation, Harcourts gold, but also the caring assistance of a consultant who will truly represent your interests. Jenny is able to provide her clients with the kind of attention that comes with huge dedication and years of experience. Backed by a great brand, and a team of of over 400 consultants, Jenny is constantly achieving great results for her clients. Jenny's philosophy is to help you achieve your real estate goals with honesty, integrity and professionalism. Professional service delivered with warmth, friendliness and a smile is what you will be guaranteed if you call upon me to help you with your Real Estate needs. 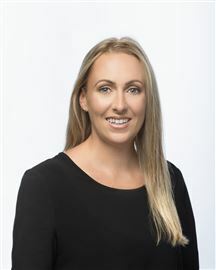 I started my Real Estate career in June 2000 when I joined Harcourts Gold, and it quickly became obvious to me that I had found a career that I enjoyed, and I thrived on helping my clients with their Real Estate needs. A lot of those people are still loyal clients of mine and I am proud of the fact that a big percentage of my business is from repeat business and referrals. I have a passion for Real Estate and work very hard to assess my clients needs and expectations. 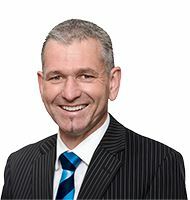 Having been personally affected by the Christchurch earthquakes I have a good understanding of the challenges faced by homeowners with damaged homes and am happy to give help and advice to anyone still making decisions on their future. 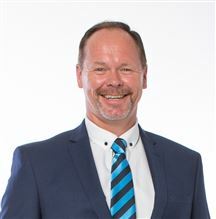 My aim is to provide a consistent level of service and I believe I have a lot of enthusiasm and perseverance, and a genuine desire to make the selling or buying of your home as easy as possible for you. Lou’s a real local girl who has spent her whole life living in the city she loves - Christchurch! After spending over ten years working and owning businesses in the health and fitness industry, it was important that she continued to work with people. Couple that with the love of her hometown, community (even more so after all the adversity it has recently faced) and interest in property, Real Estate was a natural choice. “For me it’s important to have a career doing something I love - and both fitness and Real Estate are about helping other people reach their goals and dreams.” Recognising that for most people their home is one of the largest investments they will make, the process of buying and selling a house can be stressful, but Lou knows it doesn’t have to be that way. By taking the time to truly understand her clients’ needs and aspirations, she is able to give total dedication and service to each and every person she deals with. “I believe in taking a genuine interest in my clients to develop a strong long-term relationship with them - first and foremost caring about people.” With a firm belief in good business practice, Lou is loyal and committed to achieving the best possible outcome for her clients... and she does this by keeping them fully informed every step of their journey. When she’s not working, you might find Lou at the beach, riding her mountain bike around Bottle Lake Forest, looking after her large garden, or spending time with family. She also plays badminton, is the President of Avon Badminton Club, and is currently serving on the Board of Badminton Canterbury. With residential sales experience in both the UK and New Zealand, Rudolf brings a skillset well-suited to complement the team at our Parklands office. He has a real can-do attitude and thrives on the role of putting people and property together, as well as achieving the best results for his clients. 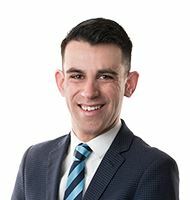 Rudolf isn’t one to settle for things as they’ve always been done – his focus to innovate and improve the client experience will undoubtedly give you an edge in your next property transaction. With total commitment and a methodical approach, Rudolf aspires to provide a personal and hassle-free experience for his clients, whatever stage they may be at in their real estate journey. Client satisfaction is Rudolf’s ultimate goal and finishing a day’s work knowing his clients’ interests have been well-served is something he takes great pride in. Let Rudolf’s commitment and follow-through be your advantage when it comes to your next move - you’ll benefit from his refreshing approach. It’s a natural progression for Amy as a mother to her 3 children to become a real estate salesperson. Amy brings a wealth of knowledge for anyone making a real estate decision. Having designed, built and renovated several properties in Christchurch with her husband, and spending most of her life in our beautiful garden city will give you the confidence that you have got the right consultant working for you. Whether you are buying or selling a home we know it is often not only the biggest decision of your life but also your biggest asset. Amy’s skill to understand and recognize your needs and wants will make the journey a fun and enjoyable one. Available to connect to her clients, Amy is at the forefront and her commitment to you is that she will be with you every step of the way. As Is, Where Is - Final Week! Calm and Charm in Abundance! Two Homes Is Not An Option! Another SOLD by Team Griff! Room To Live... Time To Play! A Frame - X Factor! A 'Site' For Sore Eyes! Be The First To Enjoy! The Beach Within Your Reach! As Is Where Is on 1614sqm! As Is Where Is - An Easy Fix! As Is Where Is - Well, Just! Take a Spin on Roullet Lane! Their Despair - Your Repair! As Is, Where Is - Take Me On! An 'As Is, Where Is' Charmer! A Super Star-ter on Seymour! Live a Better Lifestyle Here!